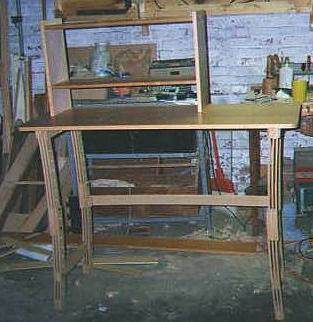 No need for advanced carpentry skills when you build a workstation with free computer desk plans. There are plans available for all skill levels, as well as a wide range of materials and costs. 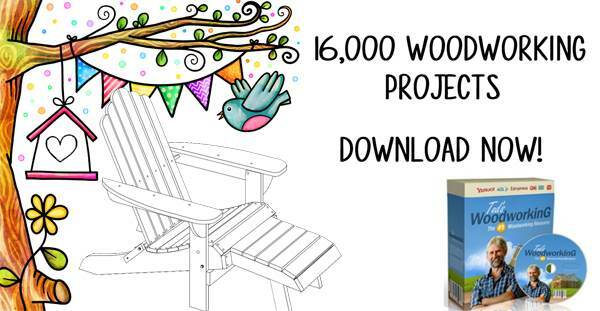 Many plans include tips and material lists, along with instructions on using finishes and stains. Choose a desk that accommodates people with physical challenges, a stress relief desk or a workspace designed for children. Computer desk plans are also available in beautiful armoire styles and classic desk models that include upper and lower storage with doors. Build an entire desk in one weekend using one sheet of plywood, or a simple unit made with recycled pallets. Use office filing cabinets and a salvaged door for a student's desk that is inexpensive and functional. 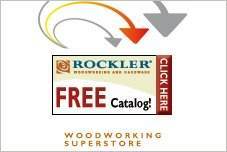 Select beautiful oak or cherry for an heirloom piece that will be used for generations. 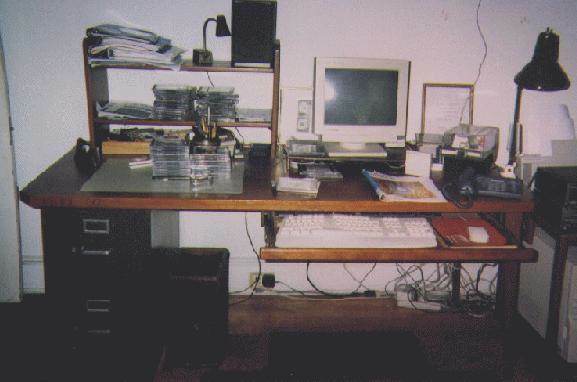 Also visit the regular Desk Plans page for more desks. Using filing cabinets and a door, you can build a computer desk. 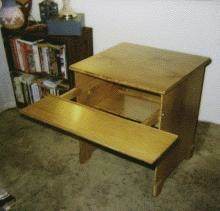 This desk is large and easy to make. Here are cutting diagrams for a computer desk that has simple styling and will not take up a lot of room. 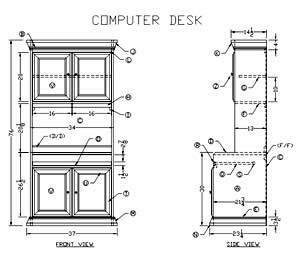 These computer desk plans will help you build an armoire to hide all your computer equipment. 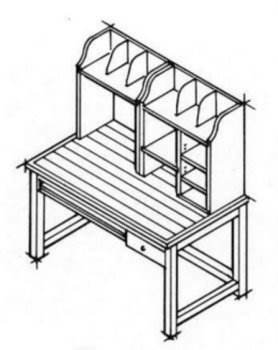 Build a computer desk with these free plans which includes a tall storage unit. Good for some people with neck problems because this setup lets you view the monitor with a downwards tilted head. Build this kid's computer table for about $140 in less than one weekend. Here is a great computer workstation with lots of areas for holding papers, books, pens, pencils, calculator and much more. This stylish computer table is clean, light and updated with a keyboard tray and drawer. Here are complete instructions and illustrations for making a computer desk out of wood pallets. Five different desk plans for people with disabilities. Plans for a corner desk to use with a wheelchair, computer desk for a bed and more. 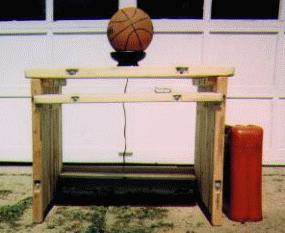 Here is a desk designed to help eliminate strain injuries and it can be built easily and quickly.